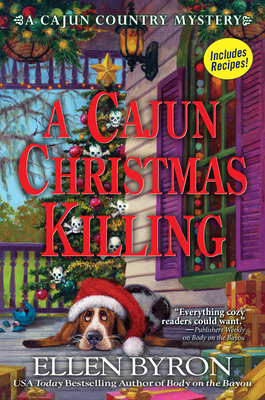 The sleigh bells are jingling, and the clock is ticking for Maggie and Rufus, who must catch the killer or it will be the opposite of a Joyeux No l in A Cajun Christmas Killing, the recipe-stuffed third installment of USA Today bestselling author Ellen Byron's Cajun Country mysteries. USA Today bestselling author Ellen Byron is a television writer, playwright, and freelance journalist. Her TV credits include Wings, Still Standing, and Just Shoot Me, and her written work has appeared in Glamour, Redbook, and Seventeen, among others. She lives in the Los Angeles area with her husband, their daughter, and the family's very spoiled rescue dog. A native New Yorker, Ellen still misses her hometown and still drives like a New York Cabbie. This is her third Cajun Country mystery.